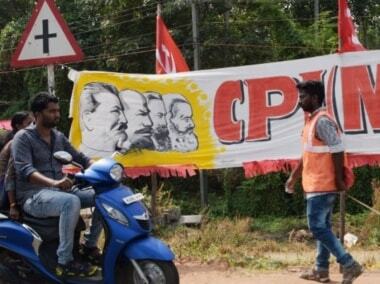 Demonitisation and GST were the main weapon that Congress and Communist Party of India (Marxist) (CPM) had been using against Bharatiya Janata Party (BJP) in the bypoll at Chengannur in Central Kerala on 28 May. After the Karnataka poll fiasco, the weapon has become sharper with the two parties adding horse-trading allegations to the pile. 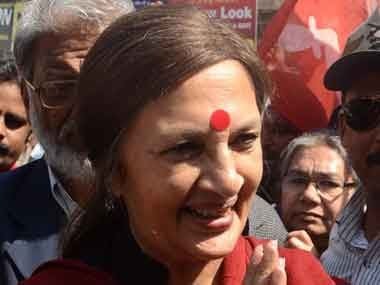 CPM Polit Bureau member Brinda Karat has set the ball rolling, saying that crores of rupees that BJP flaunted for purchasing MLAs in Karnataka have come from Prime Minister Narendra Modi's "ill-conceived" demonitisation drive. "While the common man faced hardships and poverty due to demonetisation, BJP's account was filled with money. BJP had used black money for horse-trading in Karnataka. The party is also pumping money into Chengannur," Brinda said while addressing a women's assembly in connection with the by-election. 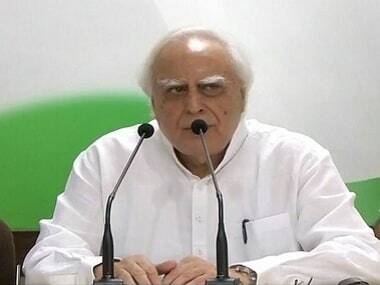 Congress Party has picked up the thread by using horse-trading allegations to make a hole in the anti-corruption plank that helped BJP to reap rich electoral dividend in many states. BJP candidate PS Sreedharan Pillai, who came close to victory in 2016 by securing 42,682 votes, is also banking heavily on the 'clean' track record of his party's government at the Centre to win this bypoll. Horse-trading allegations leveled by Congress in the neigbouring state against senior BJP leaders, including former chief minister BS Yedyurappa and his son BY Raghavendra, has come as a dampener to the BJP in Chengannur. CPM and Congress are trying to take maximum mileage from these allegations by widely circulating audio clips in which BJP leaders were heard offering ministerial position and money to JD(S) and Congress MLAs in the constituency. The allegations have added teeth to the ongoing Congress and CPM attack on the BJP-led central government over the bank scams and its failure to bring back black money stashed in tax havens outside the country. Congress president Rahul Gandhi's attempt to put Prime Minister Modi in the dock over corruption allegations has added to the woes of BJP. Rahul's comment that Modi himself is corruption is being played up by Congress to prevent BJP from cashing in on his image, which helped the party win elections in many states. In fact, BJP's hopes to win the seat on Modi power had started receding after it failed to take the party's tally in Karnataka beyond the half way mark despite the prime minister addressing 21 rallies across the state. George Joseph, a voter at Chengannur, said that the prime minister's name was less heard in the campaign front this time compared to the last election, in which Modi did two rounds of campaigning in the state. He had also addressed a rally in Alappuzha district, under which Chengannur constituency comes. Alappuzha district Congress committee (DCC) president, M Liju said that his party will get the benefit of the Karnataka fiasco as it was Congress that prevented BJP from capturing power by subverting democracy. He claimed that this will boost the morale of voters in Chengannur and Congress will win the seat. However, CPM is not ready to give credit to the Congress. Karat said that the party had no right to make such a claim as it had acted as 'B' team of the RSS. The CPM Polit Bureau member is apparently trying to reinforce her party's claim that it's only the CPM that can check the onslaught of BJP. However, political observers feel that perception may change after Karnataka polls as it was Congress' decision to forge a post-poll alliance with JD(S) that kept BJP away from power in Karnataka. 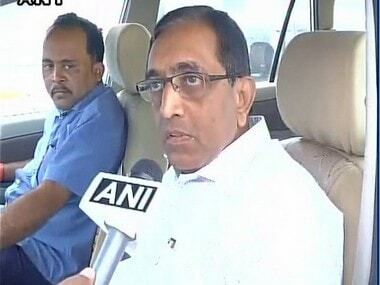 "BJP had viewed Karnataka as the gateway to other southern states. The Congress can take credit for stopping the party at the gateway through its swift move. 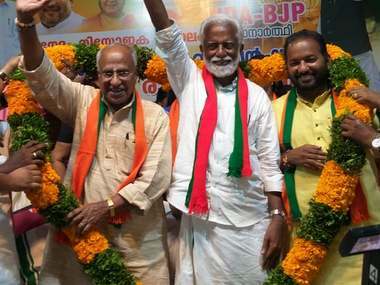 If the party is ready to play second fiddle in other states, where regional parties hold strong sway, BJP's further march can be checked," says Jacob George, a political analyst based in Thiruvananthpuaram. He told Firstpost that Karnataka election can lead to a consolidation of Opposition and upset BJP's 2019 apple cart. He has viewed the solidarity expressed in favour of the JD(S)-Congress alliance in Karnataka by regional satraps like Mamta Banerjee, Mayawati, Chandrahsekhara Rao and Chandra Babu Naidu as a positive sign towards the formation of a 'mahagatbandhan' of anti-BJP parties. Jacob feels that Congress can also demolish the anti-corruption plank of the BJP if the party takes their horse-trading allegations against senior leaders of BJP to its logical conclusion. 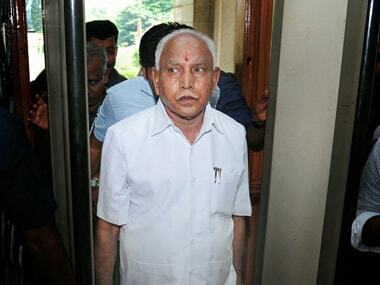 He said that the party may pursue their allegations as those embroiled include Yedyurappa, who is their main foe. "Yedyurappa is gearing up to play the victim card by undertaking a tour of the state with an eye on the 2019 Lok Sabha election. The Congres can counter this if they subject the audio tape attributed to him to forensic verification and file a case against him," feels Jacob. He said that the Karnataka setback would also have its impact in Kerala, where the BJP has targeted 12 seats in the coming Lok Sabha election. The by-election at Chengannur is crucial for the party since party chief Amit Shah's plan to make the country 'communist-mukt' after its incredible victory in Tripura also hinges heavily on the outcome of the by-election. The BJP candidate said that the recent developments will not affect his chances. He said that he had increased the party's votes from a mere 6 percent in 2011 to 16 percent in 2016 with the support of all sections of people, including the Christians, who account for 30 percent of the electorate in Chengannur. His confidence stems from the support he got from a section of Christians in the constituency. Aby Mathew, a member of the Syrian Jacobite Church, said that the BJP candidate had got the support of a section of the Christians belonging to the Orthodox Church in 2016 because of the personal connection the church Metropolitan Thomas Mar Athanasius has with the prime minister. The metropolitan, who had pursued his higher studies in Modi's home state of Gujarat, has been supporting BJP as the church has several institutions in the western state. Aby Mathew feels that this support may not be enough for Pillai to bridge the gap of over 10,000 votes he needed to win the Chengannur seat. A defeat in the by-election will throw the grand plans of Amit Shah in Kerala haywire.